After eight years on charter to Travel Dynamics, the Corinthian II will be redelivered March 2013, according to vessel management company ISP. ISP said the 114-passenger ex-Renaissance ship will be renamed Sea Explorer and has been chartered to Polar Latitudes for winter seasons in 2013, 2014 and 2015, along with further options. Polar Latitudes has stated that the “Sea Explorer perfectly fits our vision for Polar Latitudes and our programs, as well as the evolving expectations of Antarctic travelers”. For the summer season 2013 the ship is chartered to Albatros Travel in Copenhagen. 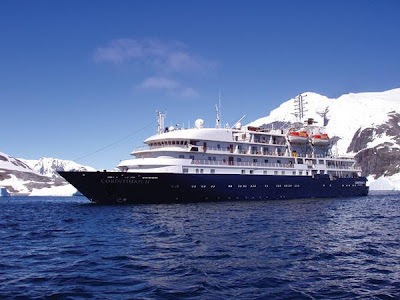 The vessel was built in 1992 and refurbished in 2004 and 2010 accommodates 114 passengers and offers a classic expedition atmosphere and luxury accommodations. The vessel has 57 outside suites, each affording sea views and elegantly appointed with a sitting area, TV, mini-refrigerator, safe and other amenities. Several suites include private balconies accessed via sliding glass doors.